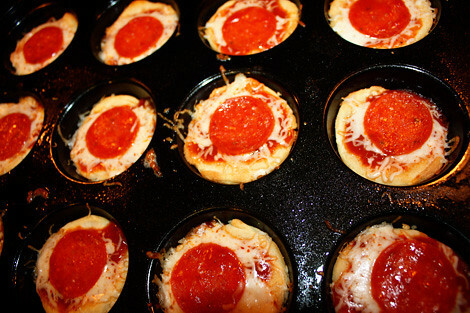 I decided to try a recipe that was posted on Haus of Girls that involves baking pizza in a muffin tin! 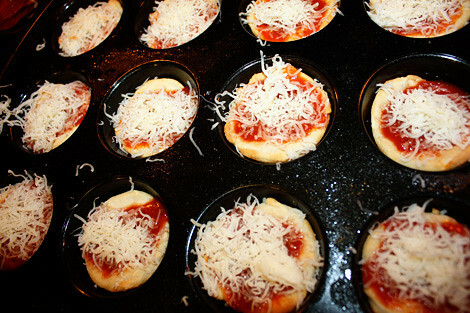 Cute cupcake sized pizzas! YUM! And, you know what? 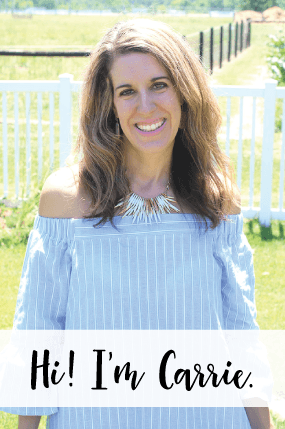 My kids LOVE pizza, but wow… they REALLY loved this recipe! I might be making it weekly! Here are all of the ingredients. 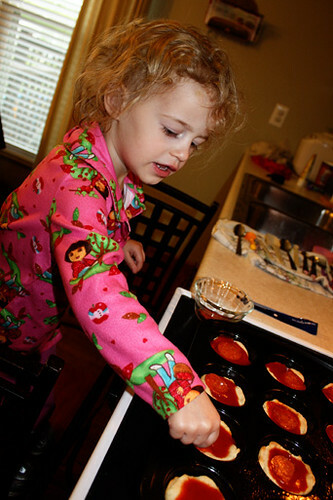 I highly recommend Chef Boyardee pizza sauce for this, its every kids FAVORITE! 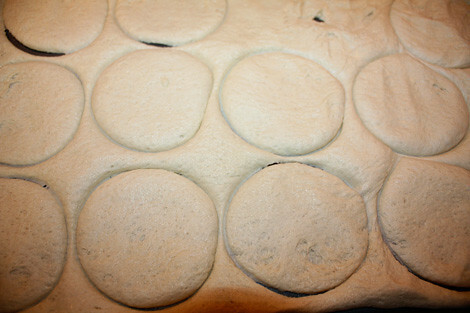 Roll out the pizza dough, and cut 16 3″ circles. I cut out 12, then had to reroll it out to get 4 more circles. I didn’t have a circle cookie cutter, so I used the opening of a sippy cup. 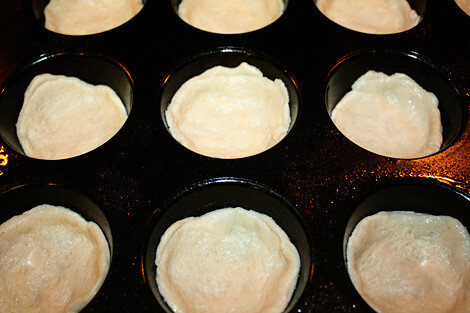 Press each to well greased muffin tins and bake 10-12 minutes. Then, the funnest part. 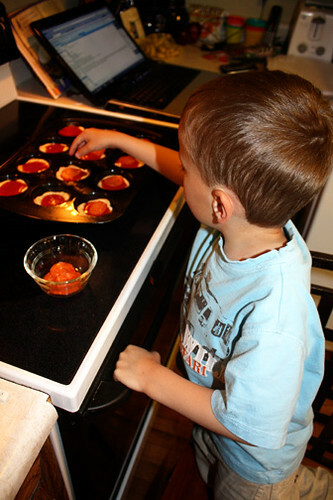 I let the kids place the pepperonis on top! Autumn, being so delicate about her placement of pepperonis. Heehee! And, the final result! YUMMY! 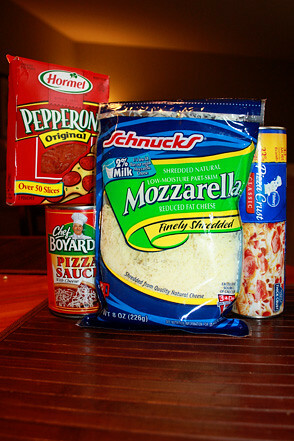 Remove from oven and top each one with 1 Tablespoon of both pizza sauce and shredded cheese. Have your pepperoni placer place one pepperoni on each one. 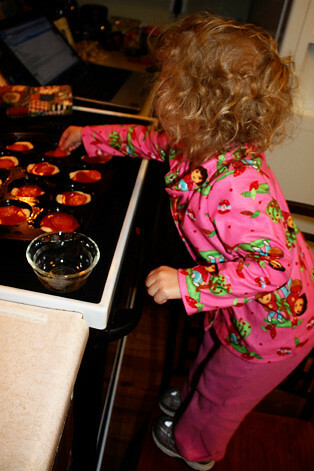 Bake for 5-10 minutes until cheese is melted, at 400 degrees.